Any trip to Cuba with Nomad Photo Expeditions is fully compliant with U.S. government regulations. You can still travel to the island with Nomad Photo Expeditions through one of the approved categories authorized by OFAC. Nomad Photo Expeditions trip are managed through a specialized and appointed People to People Travel Agency. We have been visiting the island under People to People organized trips since more than 5 years. Under the new Cuba sanctions, Individual people-to-people travel to Cuba is restricted with the exception of People to People trips run with an appointed Travel Agency . 1. 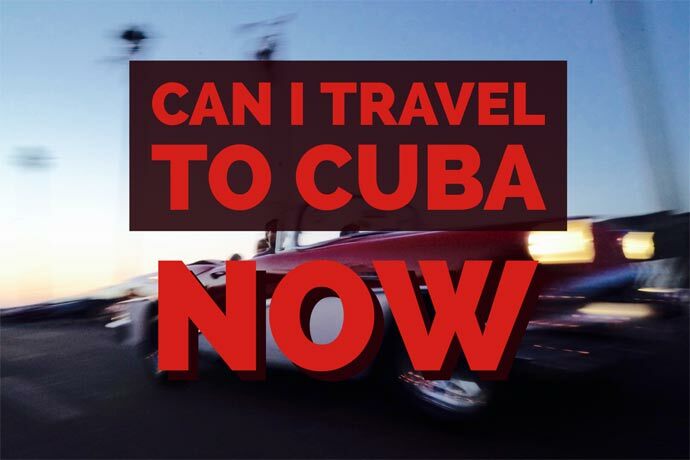 Is it legal for me to travel to Cuba with Nomad Photo Expeditions? Yes, you can confidently travel to Cuba with Nomad Photo Expeditions, knowing that our trips are fully compliant with the latest regulations published on November 8, 2017. 2. How can I book flights to Cuba? There are many commercial flights to Cuba, with roundtrip ranging from just $300-$500 per person from most U.S. cities. The U.S. Department of Transportation has approved commercial flights to Havana and Cienfuegos from multiple U.S. cities. The airline will only require you to fill a form where you certify that your travel to Cuba falls into one of the approved categories of travel authorized by OFAC. Your Nomad Photo trip qualifies as part of an educational people-to-people exchange sponsored by Nomad Photo Expeditions. Once your trip to Cuba with Nomad Photo Expeditions has been booked we’ll assist you details on flights and arrival and departure information in your trip confirmation package. 3. What travel documents will I need now? All U.S. citizens and permanent residents will need a passport with a minimum of two blank pages that is valid for at least six months after the scheduled date of return from Cuba. You will need a Cuban visa and a health insurance and keeping for five years the records of your trip. Nomad Photo Expeditions can arrange for your visa and the appointed Travel Agency will take care of record-keeping for all our travelers so that they don’t need to. They will provide you with all of the necessary paperwork for the trip and keep records for a minimum of five years, as required by the U.S. Department of the Treasury. 4. Will the new Cuba sanctions impact where I can stay in Cuba? Yes. You can not anymore stay in hotels participated by the Cuban army forces that are described in the U.S. Department of State list. Happily, none of the lodging that Nomad Photo Expeditions uses are on the restricted list issued by the U.S. State Department. This means that a trip with Nomad Photo Expeditions is fully compliant with U.S. regulations and our experience won’t be negatively impacted in any way. 5. Will the new policy changes affect the places we visit with Nomad Photo Expeditions? Photo sessions and photographic encounters have been carefully planed in order to interact deeply with the Cuban people and get a more profund knowledge of the Cuban reality. This is a specially elaborated photographic itinerary in order to get a People to People approved program that should satisfy what has to be a truly Nomad Photo Expeditions photographic itinerary in Cuba. Nomad Photo Expeditions has spent the last five years conducting extensive research to create a unique, authentic experience that was and still is today fully compliant with U.S. government regulations. We have as well handpicked some of the best family-run private homes (casas particulares) and restaurants (paladares) where you’ll enjoy delicious home-cooked meals and learn more about life in Cuba today.